One of the major challenges in obstetrics and gynaecology is the need for a broad knowledge of medicine and surgery as well as the conditions specific to reproduction. The comprehensive nature of Differential Diagnosis in Obstetrics and Gynaecology achieves this goal. The book provides clinicians with invaluable assistance in the diagnostic process to differentiate quickly and correctly among various diseases. From minor to major symptoms, the differential diagnoses are explored and offered in a way that is easy to read and leads to practical management. Arranged alphabetically, and based upon presenting symptoms, the text takes readers through a step-by-step approach to that presentation, culminating in a description of the different diagnoses that it might represent. The layout of the book is engaging as the text is interspersed with excellent illustrations and useful boxes highlighting important points. Algorithms, references, and websites have been included where appropriate and a glossary of common terms and terminology used in obstetrics and gynaecology has been provided at the end. 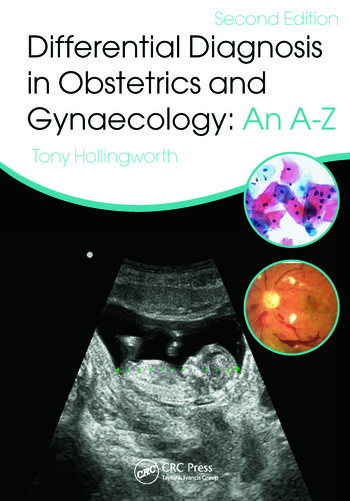 "Having an accessible, readable and trustworthy review of Obstetrics and Gynaecology is worth its weight in gold-and this book is certainly a worthy contender." "The text is well referenced and lists helpful resources and websites for further reading and information. I would certainly recommend it to anyone with a specialised interest in obstetrics and gynaecology … a very valuable addition to the medical bookshelf."